A means-tested benefit is a public benefit that is provided by a federal, state, or locally funded agency on the basis of your income and resources. If you have received a benefit from any of these entities that was granted based on your income, that benefit is considered a means-tested benefit and is generally accepted by USCIS. Examples of means-tested benefit programs include Medicaid, Supplemental Nutrition Assistance Program (SNAP, formerly Food Stamps), Temporary Assistance to Needy Families (TANF), and Supplemental Security Income (SSI). Programs that are not considered means-tested include Medicare, receiving unemployment benefits, social security benefits, Social Security Disability Insurance (SSDI), Retirement, Survivors and Disability Insurance (RSDI), and student financial aid. If your spouse is seeking a fee waiver request and you are currently receiving a means-tested benefit, your spouse may use your means-tested benefit to qualify for a fee waiver, so long as you and your spouse are living together and not legally separated. If you are receiving a means-tested benefit and you are seeking a fee waiver request for a child under 21 years of age, your child may use your means-tested benefit to qualify. 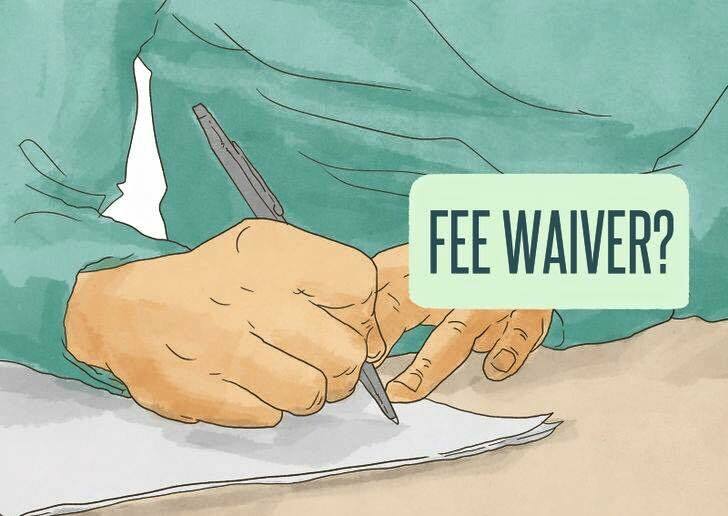 If you are seeking a fee waiver request for your child, you must provide evidence of the parent-child relationship including a copy of the child’s birth certificate. Generally, a parent cannot use their child’s means-tested benefit to qualify for a fee waiver, however fee waiver requests are adjudicated on a discretionary basis. How do I prove I am receiving a means-tested benefit? An indication that you are currently receiving the benefit (date granted, expiration date, date of renewal, etc.). Providing a copy of your benefit card itself is not acceptable evidence proving that you are currently receiving a means-tested benefit. If you are receiving a means-tested benefit that was not included in the list above, provide as much information as possible about the benefit including a brochure, website of the agency granting the benefit, etc. If you are filing on behalf of a child, provide documentation of the means-tested benefit the child is receiving. In order to apply for a fee waiver request based on the fact that your household income is at or below 150% of Federal Poverty Guidelines, you must provide the head of household’s income on the fee waiver request. In addition, you must provide documented evidence proving that your income is either at or below 150% of Federal Poverty Guidelines based on your household and place of residence. Any other documents that can demonstrate that your income is at or below the federal poverty line. USCIS will consider homelessness when reviewing the basis of a fee waiver request. In this case, the applicant should provide a dated letter from the homeless shelter where they are receiving services and signed by a shelter employee. If you are homeless and you do not reside in a shelter you must include an affidavit from a member of good standing in your community who can attest to your claims. If you cannot provide evidence due to your involvement in a natural disaster, fire, robbery, or other means, include a detailed explanation in your affidavit. You should make a good faith effort to include as much evidence as possible such as a copy of a police report, insurance claim or other report to support your claim. *There are generally no fee waivers for DACA although few exemptions are made. For information on DACA exemptions click here.